Club Statement. Perranporth FC have parted company with first team manager Ben Mitchell. Ben came in midway through the season at short notice to help the club when the former managers abruptly left. The club would like to put on record our grateful thanks for Ben's hard work to help keep the club in the upper reaches of the Combination league. However in the likely difficult times ahead, driven by the major reorganisation of the leagues structure in Cornwall, the clubs management Committee felt that a more experienced team manager is required. Once again the club extends our grateful thanks to Ben with our very best wishes for the future. 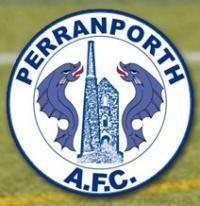 Perranporth FC. You only need 2-3 match balls for a game. Also maybe if the players keep the balls on the pitch they wouldn't go missing.